Consider this your crash course on how to use the healing powers of essential oils. Let’s talk about essential oils. Not only do these natural, plant-based oils have what I like to think of as magical healing properties, but they can be used in a variety of ways to solve a multitude of issues. Plus, they smell amazing! There’s a reason it’s called “aromatherapy,” after all — manipulating scents derived from the natural world around us is like invoking a kind of sensory magic. So what is aromatherapy? 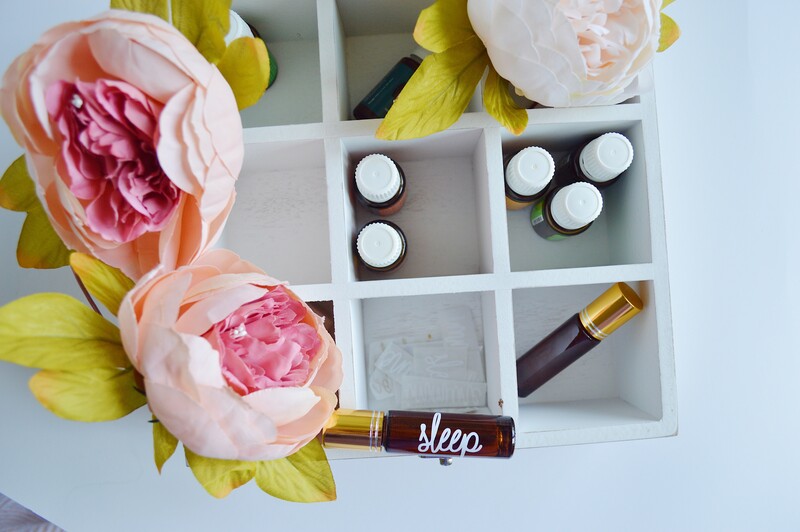 Essentially, it's the belief that these aromatic oils can be used to enhance our moods, improve overall health and wellness, get better sleep, destress and relieve tension, help achieve a higher state of mindfulness, and even treat anxiety. What’s not to love? 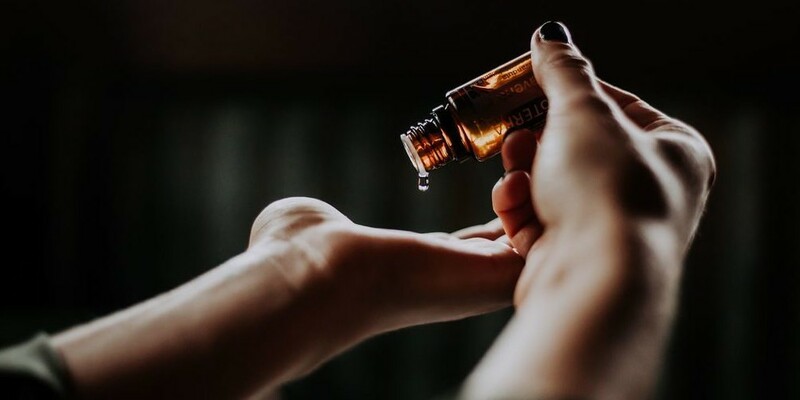 From applying topically to skin, putting a few drops into an aroma diffuser, and more, there’s something for everyone when it comes to tapping into the healing powers of these super-powered oils. Though the sheer multitude of these products — mists, roll-ons, and blends, just to name a few — may seem more than a little overwhelming, the first step on your aromatherapy journey should be to know your oils. For example, inhaling the scent of eucalyptus is a great energizing tool. Simply rub together a few drops on your palms while in the shower to create a “mini spa moment.” Refreshing, much? Not all essential oils are made equal; some are meant to be applied topically, while others may cause irritation, especially on sensitive skin. And a couple drops will go a long way — so bear in mind, you won’t necessarily be going through these oils quickly. Be sure to make an educated decision when in the market for these products, doing your research when seeking one out for a particular ailment — whether you’re looking to enhance your mood or relieve sore muscles and achy joints. And when it comes to treating anxiety, improving sleep quality, and unwinding after a long day? I’ve got you covered, ahead. Say it with me now: Applying pure essential oils directly to your skin is Not A Good Idea. When using these aromatic oils in your skincare routine, it’s important to dilute, dilute, dilute! If, and only if, you’re using a diffusion blend (or oils that have already been diluted), you’re good to go. Lavender and tea tree oils are safe for topical application, too. Other than that, though, rule of thumb says that if it’s a pure, undiluted essential oil, your next step should be to add it to a carrier oil. Common carrier oils include jojoba, sunflower seed, grapeseed, olive, and more. These neutral, plant-derived oils can act as a base to facilitate faster absorption of essential oils into your skin. Just in time for the cooler seasons - create a warming atmosphere at home with this fresh and forestry diffusion diffusion blend. 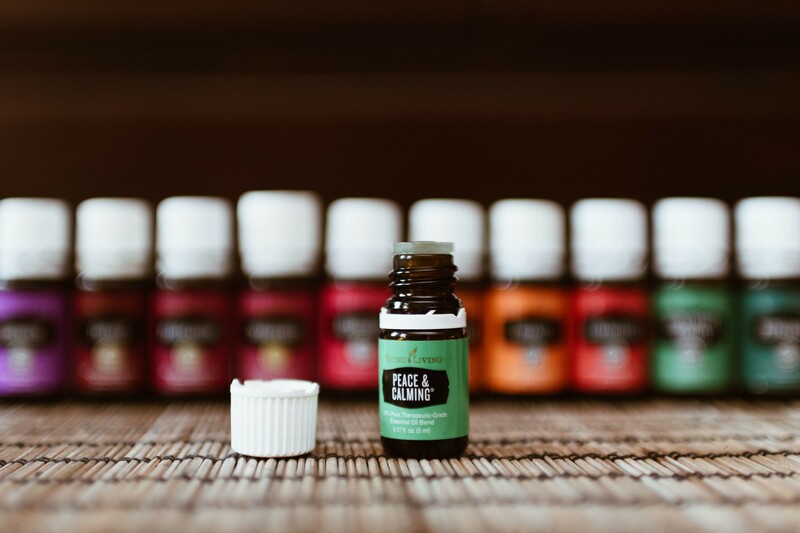 While essential oils are not meant to replace medical treatment, they can help to help foster a sense of calmness and relaxation, and even to alleviate anxiety. Rub a few drops of your favorite calming blend between your palms and then run it through your hair and behind your neck, or massage it into pressure points like your temples and wrists. Don’t forget to breathe deeply as you do! Ever wonder why a whiff of something familiar can jog surprisingly strong memories? Because our sense of smell is linked directly to our brains, simply inhaling a familiar scent that has served to calm you down before will act as a trigger for the next time, signaling your brain to relax. For this reason, incorporating the use of your favorite essential oils into a daily routine is super effective. Our go-to scents to alleviate anxiety? Rose, clary sage, frankincense, lavender, bergamot, geranium, and chamomile. Lavender is one of the most popular essential oils for a reason. It’s widely used in women’s perfumes, and its soporific effects can serve to help the most sleepless of night owls among us, myself included, get some much-needed shuteye. 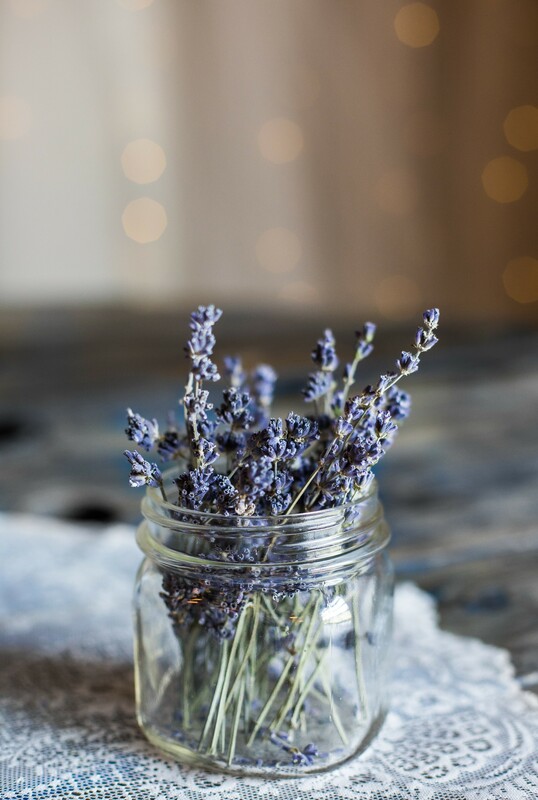 You can incorporate lavender into your bedtime routine to foster a sense of overall health and wellbeing, or press just a touch of it to your forehead after an evening yoga class to really step up your wellness game. Other go-tos for resting easy? Chamomile, patchouli, sandalwood, ylang-ylang, jasmine, vanilla, and valerian. The best way to unwind after a long day? Putting a couple drops of cedarwood into your diffuser. Something about the woodsy aroma tricks your brain into thinking you’re taking great, refreshing breaths of fresh air while camping or on an outdoor adventure — and what’s not calming about that? If you’re a ritual bath person, try adding a couple drops of frankincense into your nighttime bath to turn a bad mood around; lemon, tangerine, and other citrus scents also work wonders. Alternately, incorporate essential oils into your morning routine to start the day off on the right note. Instead of checking your email or Instagram right off the bat, try lavender, geranium, or bergamot. Effective stress relief from the AM straight into the workday? Yes, please. More go-to scents to de-stress, relieve tension, and improve your mood? Rose, bergamot, vetiver, sandalwood, marjoram, and orange. @tobruckave’s bedside set up= something to aspire to. Lavender and tea tree oil are actually the only essential oils gentle enough to safely apply to your skin, which means that they can both be used for skincare woes. Tea tree oil has antibacterial properties, so next time you’ve got a breakout or blemish that just won’t go away, try dabbing some on as a spot treatment. It’ll eliminate redness in no time. Tea tree oil can be used to soothe dry scalp issues as well; simply dab it along the hairline. With the constant busyness of our modern go-go-go lifestyles, it’s fairly normal to feel drained or burned out, and all-too-easy to fall into the negative spiral of late nights and caffeine addiction to play catch up on a weighty to-do list. But that’s where herbal remedies, like energy-boosting essential oils, come in. For energy, citrus scents are the most effective. We’d suggest adding orange, lemon, or grapefruit scents to your aroma diffuser, then taking a big whiff. Peppermint works for concentration, too, and eucalyptus is great for stimulating the senses. Plus, it smells fantastic. For enhancing memory and improving mental clarity, rosemary, and basil all work like a charm. Mmm, we feel refreshed already. (And maybe a little hungry.) 3PM mental fog, what? More go-to scents include cedar, pine, juniper, spearmint, and jasmine. Other go-to essential oils with disinfectant qualities? Thyme, cinnamon, oregano, eucalyptus, clove, tea tree, and more. Some might call aromatherapy a little “woo-woo,” but we’re definitely not on that team. (Taking back “woo-woo,” anyone?) Besides, the truth is that essential oils have been used for thousands of years — and as the world of natural beauty and wellness products continues to grow exponentially, so too will the market for these remarkable plant-based oils. While not all aromatherapy products are made equal, it’s safe to say that there’s an essential oil for just about everything: From de-stressing, treating anxiety and calming the mind, to improving mental clarity and energy levels, and soothing skincare woes, we’re all for it. Give us all the essential oils, please!